Free Delivery on this item - UK Only! 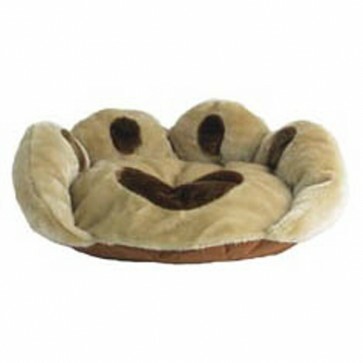 Moscow Luxury Cat Bed is a soft padded cat cushion in the shape of paw, that's a warm and cosy bed to sleep on after a long day at work, patrolling the garden and eating as much as possible. The paw shaped cat bed is made from plush soft material with a hollow fibre fill, that has a crinkle fabric base that has a similar feel to suede making it non slip. The Moscow Cat Bed rustles like a newspaper or paper bag, with upturned sides that will provide your cat with a sense of security and will enjoy sleeping on. I ordered a Moscow Rosewood luxury cat cushion from you just before xmas for my cat as a xmas present. It came on Christmas eve and I was impressed how good it looked and she loves it! Can't get her to move off it for long, best thing I've ever bought her she says!